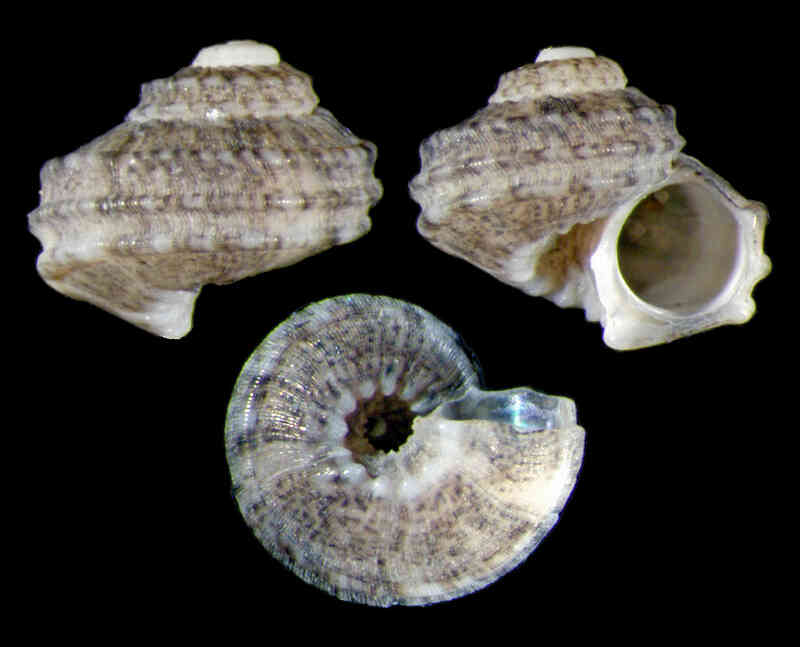 Shell size to 3.5 mm; shell depressed-turbinate, small, thick-walled, sculpture of three strong, beaded cords of which central one forms a peripheral keel. Microscopic axial threads present on entire shell. Aperture circular. Base flat, umbilicus large, surrounded by a large, whitish beaded cord. Color very variable, usually with white background and reddish, brown, or bluish gray radial specks or streaks.